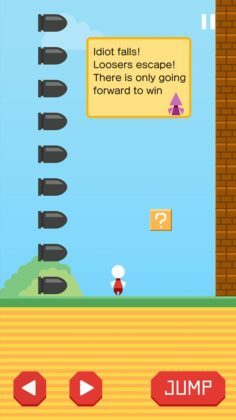 Going home is something we expect most people on this small blue planet kind of look forward to… So when a new game threatens to all but destroy that almost sacred joy we all feel after coming home from a long day’s work, we simply had to give it a try! Set in an obviously Super Mario like 2D setting, your mission in this game is to use 3 on-screen buttons (Move Left, Move Right, and Jump) in order to avoid unavoidable obstacles as you slowly make your way back home. For anyone who has ever played an awful game called Syobon Action, Mr. Go Home is essentially the same game featuring unexpected and totally unavoidable obstacles, which can only be avoided if you take the time to memorize where they are on the map. 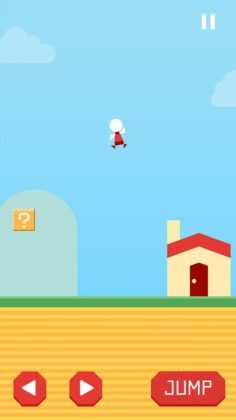 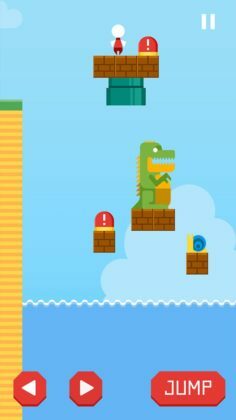 Other than super hard levels that are pretty much guaranteed to frustrate the living daylights out of you, Mr. Go Home is a fairly simple game which doesn’t actually feature all that much in terms of skins, unlockable items, or anything else as such – although it does feature quite a few Ads.